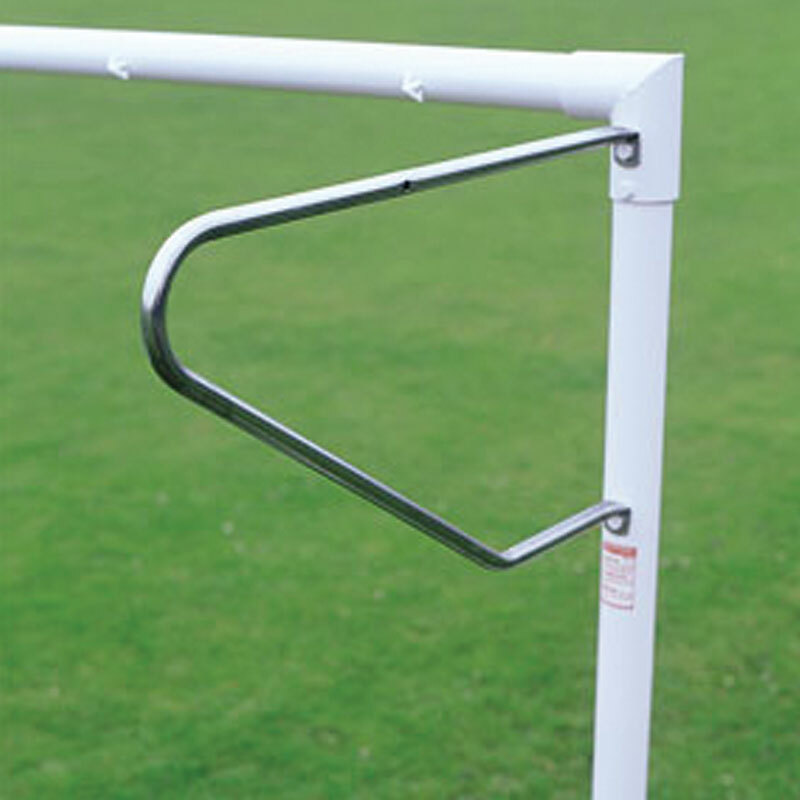 The Harrod Sport ® Socketed Heavyweight Steel Football Posts 21ft x 7ft are traditional steel goal posts. Manufactured from heavy gauge material these posts are designed for durability. 2 x Freestanding Steel Goal Posts 21ft x 7ft. 24 x Arrow Net Hooks. 4 x 460mm Deep Sockets and Lids. 1 x Freestanding Steel Goal Post 21ft x 7ft. 12 x Arrow Net Hooks. 2 x 460mm Deep Sockets and Lids. Independently tested to BS EN 748:2004 or BS 8462:2005. 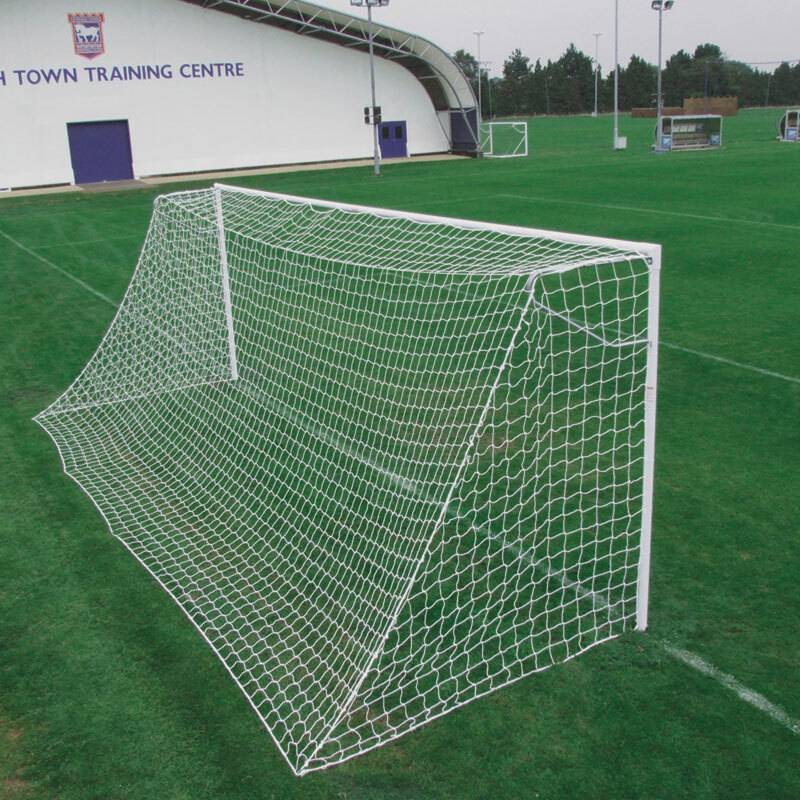 Uprights and crossbars are manufactured from 60mm diameter x 4mm thick steel. Complete with 460mm deep sockets with 65mm diameter internal measurement. Sockets are designed to allow uprights to sit 308mm deep into socket. All external bolts are stainless steel. Complete with synthetic arrow net hooks. 6.4m x 2.13m (21ft x 7ft) - 108kg per pair, 54kg per single.